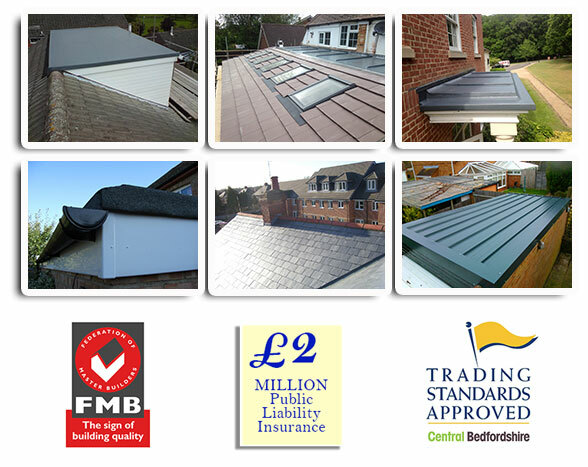 Liddle and Co Ltd have been providing roofing services in Bedfordshire and surrounding villages for over 30 years. Our small, family run business is based in Flitwick and dedicated to delivering quality. We have a wealth of knowledge about all aspects of roofing and associated services. We have passed on roofing skills to the next generation, guaranteeing quality workmanship and a close working knowledge of the trade. We undertake all roofing work from tiling and slating to general roofing maintenance and repairs, with no job being considered as too small. We guarantee a high standard of workmanship and customer care. We are approved builders with Central Bedfordshire Trading Standards and we belong to the Federation of Master Builders and have £2Million Public Liability Insurance all for your peace of mind. If you are interested in any of the above services offered by Liddle & Co Ltd, please contact us to discuss your requirements. Our Areas covered map and online contact form are available from this website.